The twin-poled XL Bellepad provides a huge internal space of 40 square metres, divided into three separate rooms. 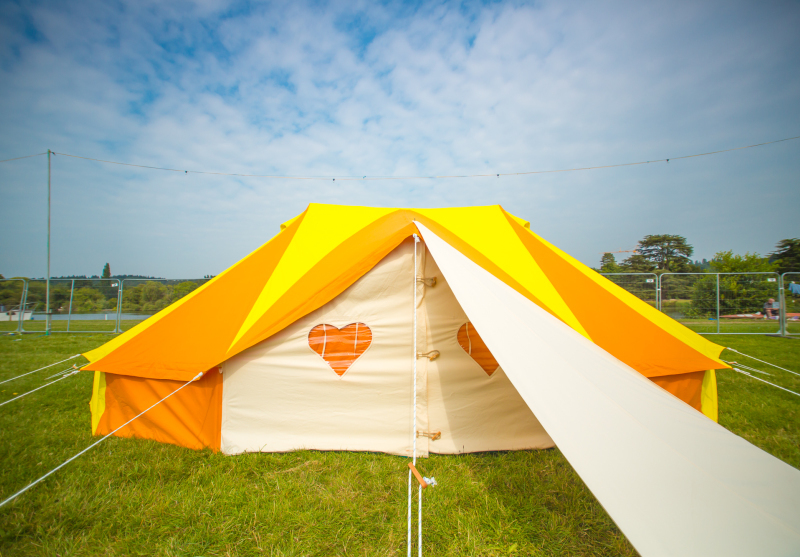 Heavy duty poly-cotton twin-poled bell tent with extra-thick groundsheet and carpet. 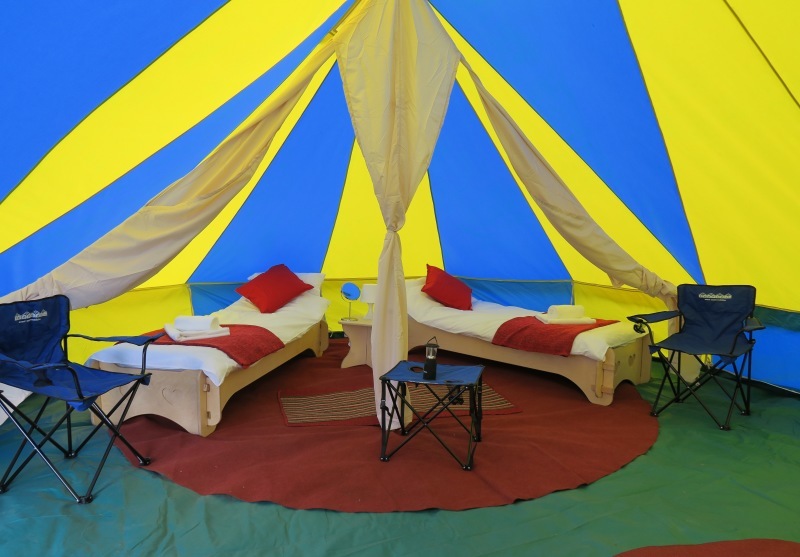 XL Bellepads are available for groups of up to 8 people in the Standard option, or 6 people in the Luxury option. The 8 Person Standard XL Bellepad comes with 8 camp beds, fitted sheets, but no bedding. Sleeping bag packages can be added as an additional extra. All XL Bellepads come with a heavy duty groundsheet and carpets. Sleep Easy Packages are available in the Standard XL Bellepad and include a sleeping bag, pillow, blanket, eye mask and ear plug pack. 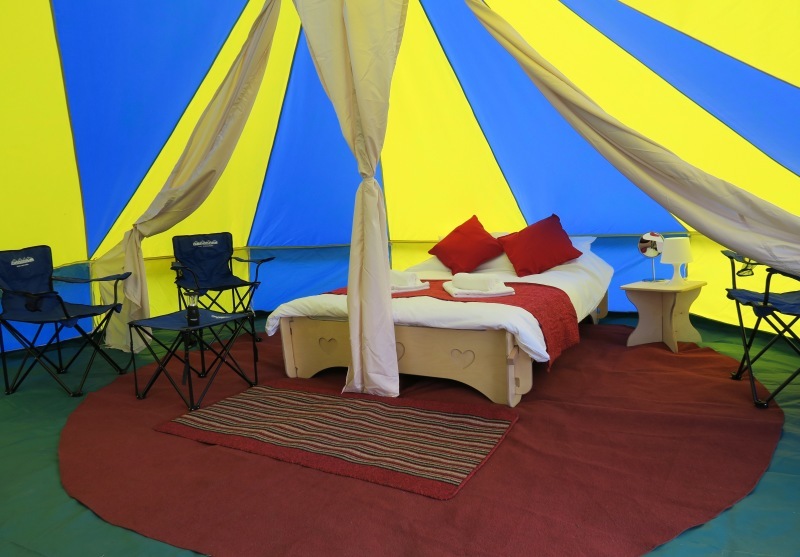 Sit Easy Packages are available in the Standard XL Bellepad and include 2 x camping chairs, a camping table and an LED lantern.